Bandit has signed with Broken Circles and will release their debut full length Of Life on January 20th. The group has premiered two songs, “Pushing” and “Dragon,” which you can check out below. Both of these songs grabbed my attention, particularly because they’re so different. “Pushing” has an edgier riff leading it and has more of a 90s alternative rock vibe to it, while “Dragon” kicks things off with a shoegaze riff that sucked me right in. 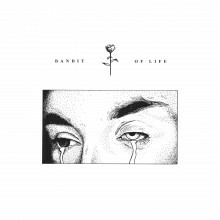 I’m interested in hearing what else Bandit is able to channel on their album, so I’ll be keeping an eye out for this one when it releases in January. Broken Circles recently announced the addition of Nashville, TN’s Bandit to the label’s roster. The band’s debut full-length, Of Life, will be available January 20, 2015. You can stream a new single from Of Life now. “Pushing” is premiering exclusively on Brooklyn Vegan. Also, the first single, “Dragon,” is streaming on Youtube.